Sunlight cracks open the sky while trucks pile into a parking lot to unload produce, clothes, and jewelry. Every Monday and Tuesday in the Old City of Lod this happens: A haven for the community. The Old City is a place rich in history and centrally located in Israel. The shuk is a vibrant market located in Ramat Eshkol, a neighborhood where residents work hard to improve their quality of life. 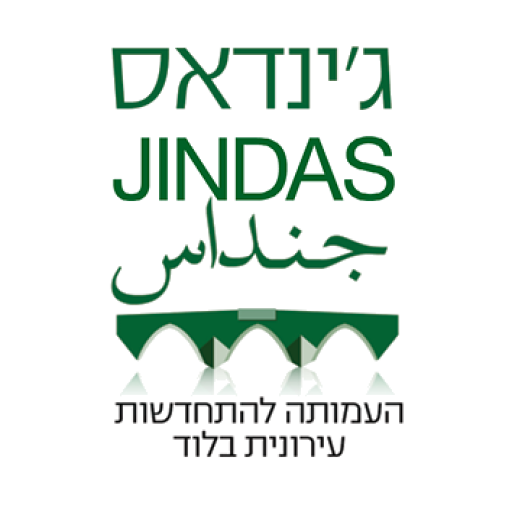 Jindas is also based in this neighborhood purposefully, committed to rebuilding this neighborhood by empowering residents to generate new opportunities for their community to thrive. In the course of a few hours, a parking lot is transformed into a center of commerce, where people from all different walks of life come together. In Israel it’s unusual to see Jews and Arabs sharing space this way because separation is often the status quo. But every Monday and Tuesday in Lod you see people come together in this disguised city of beauty. You can hear the vendors yelling their special deals (kilo bandura b’ashara! Kilo of tomatoes for five shekels! Shtaim b’chamesh!) as customers shuffle through the shuk carrying bags and bags of new produce, clothing, and household goods. Parents walk hand in hand with young children, their eyes growing wider and heels digging into the ground as they pass the stall with mountains of assorted candy. The vendors must sell their remaining products, so prices get lower as the day progresses and everyone rushes in to get the best deal. As the sun begins to set, stalls quickly collapse and are loaded on the back of trucks. Just as in the earliest morning hours, the shuk is gone. All that remains is an empty parking lot. Later in the evening everyone will be home cooking a meal for their family. When many people in this country hear "Lod," they think of crime, violence, and poverty. A city of hardworking, committed, family orientated people is not often what comes to their mind. A local resident once told me, “the city is now suffering from a stigma;” a stigma derived from the myth that Lod is a dangerous place. I arrived in Lod some years after the local government stabilized but, despite this, Lod still suffers from this stigma. To say that the stigma is the sole source of difficulty experienced by local residents would be a lie, because progress of many kinds is needed. But I invite anyone with a negative idea of Lod to visit the shuk which challenges the myth of Lod as a crime and drug ridden city. The city’s vast diversity of nationalities, ethnicities and religions is one of the many things that make it such a unique place. The potential for a rich, shared society rests in Lod's unique diversity. Though the shuk here in the Old City’s Ramat Eshkol neighborhood thrives, it alone is not enough. Jindas is working to develop the kind of community and expanded economic opportunity this local community deserves. This vegetable stand has been a part of the shuk for 36 years and the vendor here commutes from Ramallah in the West Bank to work at the shuk. Meet Moshe, a second-generation vendor at the shuk. His parents started selling produce from this stand fifty years ago. Things have changed since then. Moshe says that all vegetables must go through a professional inspection to identify produce fit for sale. The spices he sells are made at his home. He also grows winter vegetables on his own land, located on a moshav only a short distance away.